Yes, I know it's been ages since my last post. Forgive me.. I just can't describe all the long excuses that I put on my self for not writing. Well, today I decided to give myself a break by shopping at Ambarukmo Plaza. As usual, the make up section always attracts my heart. 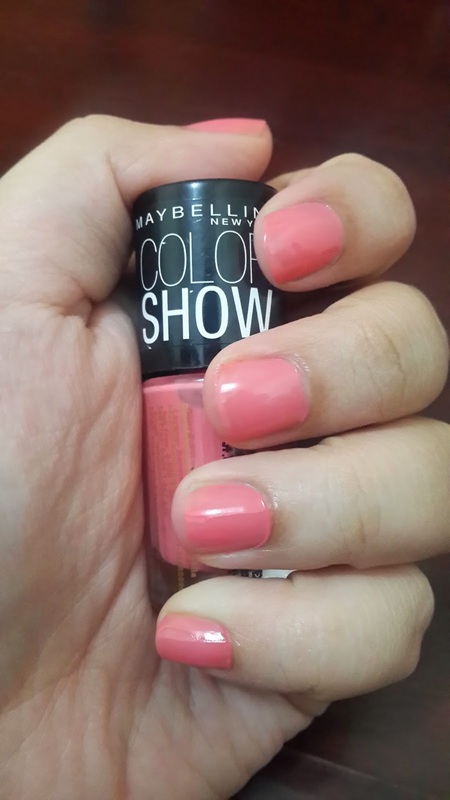 I went to the Maybelline counter and fell in love directly with the Color Show Nailpolish. They have huge variety of eye popping colors. And most importantly, it is so affordable!!! 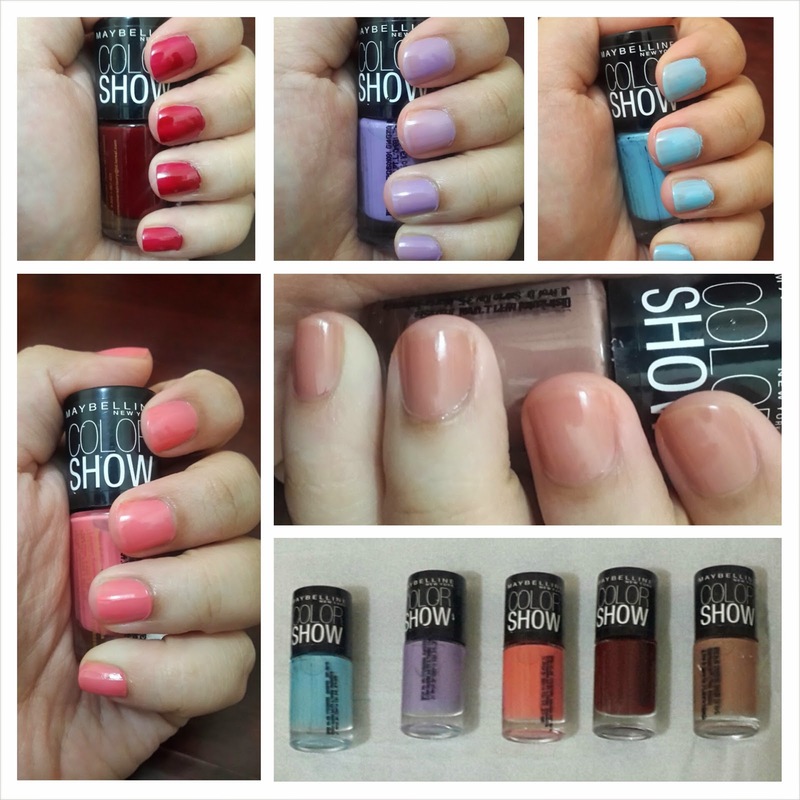 Only IDR.30.000 (USD 3) for one bottle of great nail polish. I have to say that these nail polish did an awesome job. 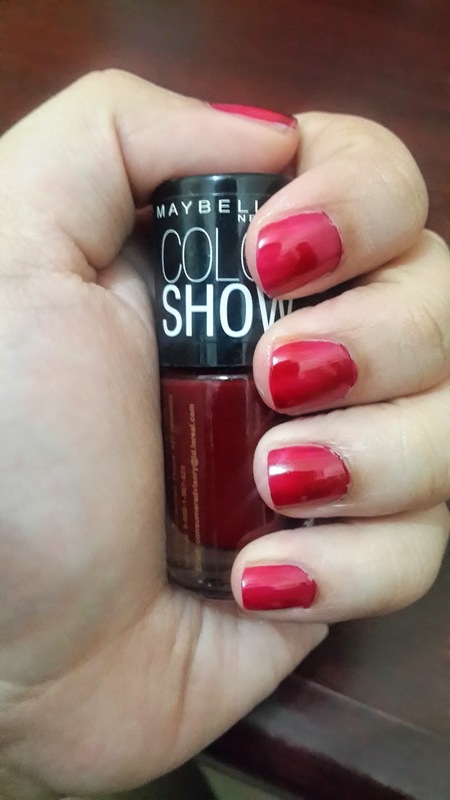 The colors are well pigmented (except for one particular color). Also, it dries super fast which is a good thing for nail polish. This is such a beautiful, cheerful, and energizing color. The pop of orange that is not too flashy is what I love most about this color. 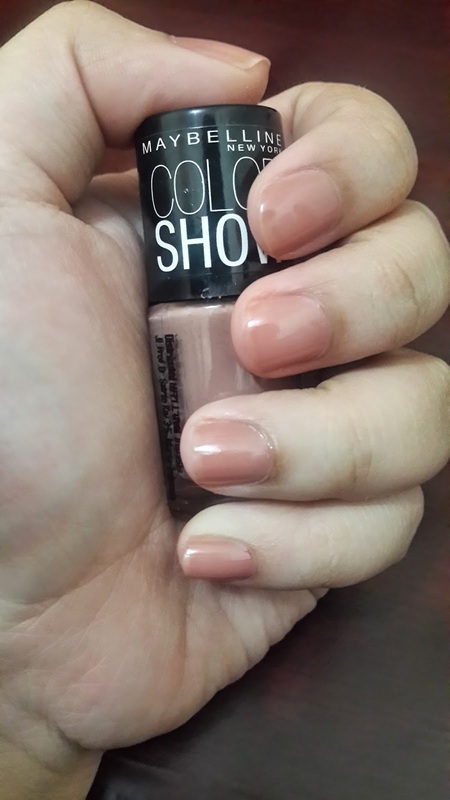 This is the color that I would love to wear for daily routine. The color is so soft, girly, and yet exclusive. 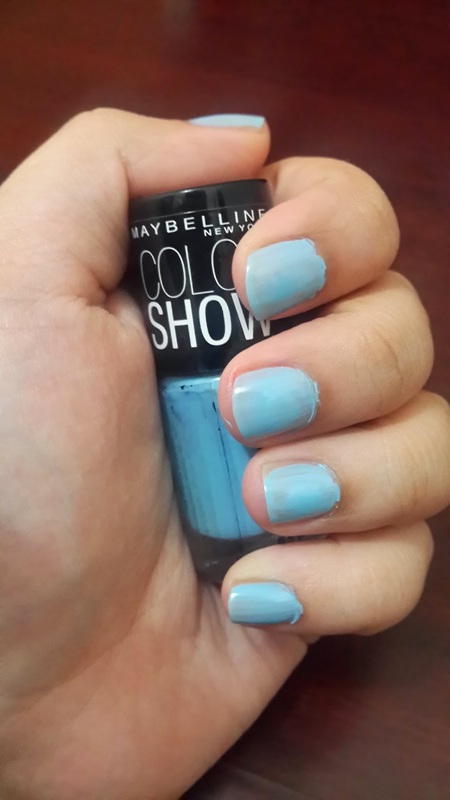 It can also be a great base color for nail arts. 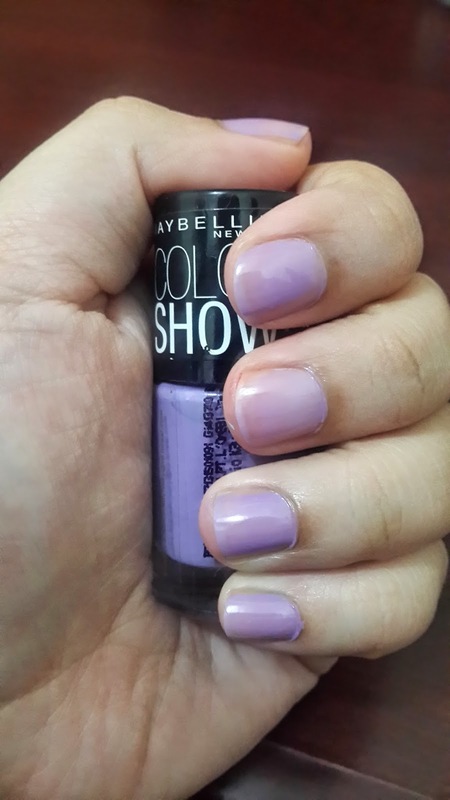 The soft purple is a color that I might wear when I'm in the mood for popping colors on my nails. However, matching it with my skin color, I just felt that the color does not pop that much. Perhaps if we give it a try for two coats will show a better color. When I first saw the color on the bottle, I directly fall in love with the color just because it reminds me a lot of the Frozen movie. It looks like the beautiful dress worn by Elza. However, when I put them on my nails, it's not pigmented which makes it quite hard to neatly put them on. The colors is also too light for my skin. So those are my thoughts. If you have any other colors that you love from this nail polish line, please leave a comment down below.. I would love to hear your thoughts..
Talk to you later Beautifoe..!! !